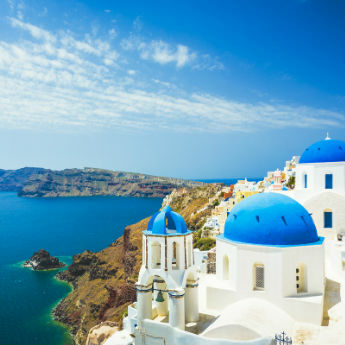 Do you love the Greek Islands? Have you tried Rhodes yet? 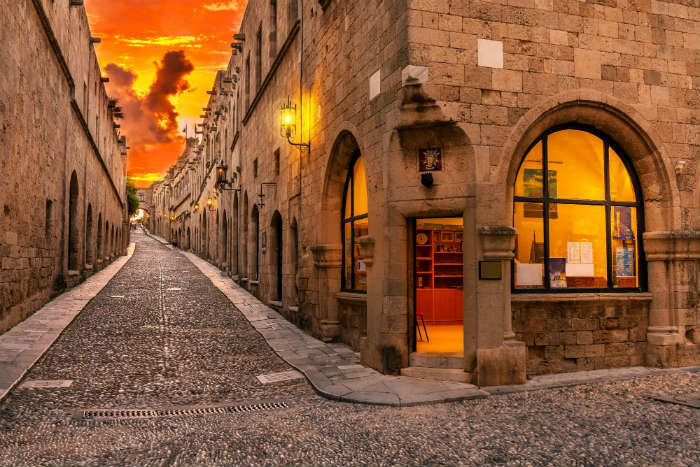 Well if not, you’re missing out on the magical combination of gorgeous beaches and old buildings that ooze medieval history. 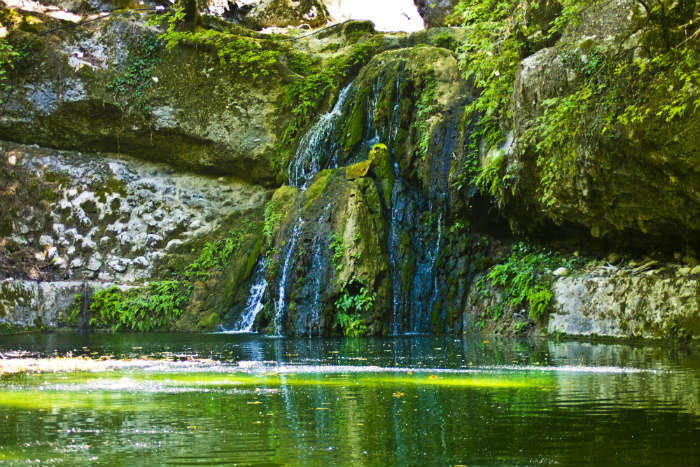 There are also lush, green valleys nature lovers will adore and thermal springs that are just waiting to be bathed in. The sightseeing in Rhodes is pretty impressive. 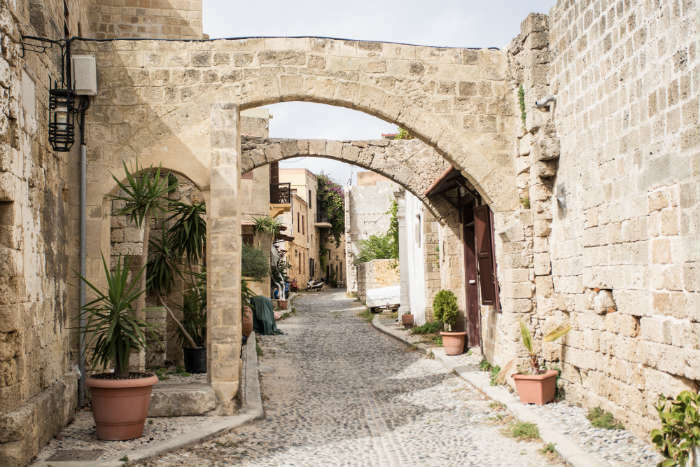 It’s not just the beaches that are amazing here but there are well preserved medieval structures and streets dotted all around the island. 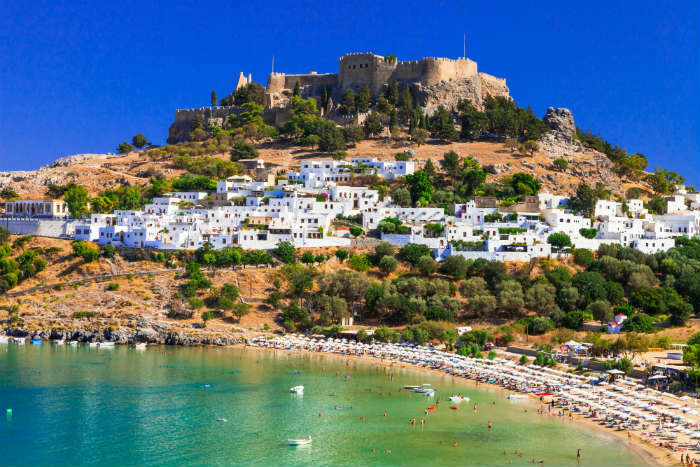 One of the most popular sights is the Acropolis in Lindos which towers over the bay. Go up here for amazing views of the beach below or learn about how this building used to be the centre wealth on Rhodes. 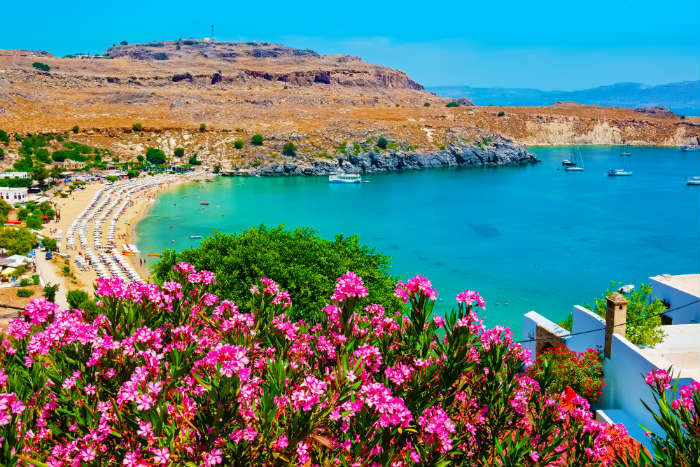 If Lindos Bay looked appealing from up at the Acropolis, why not go and spend a day there soaking up the sun? You can rent sun beds and if you’re interested, you can even go diving in the clear water. It sounds pretty grand, doesn’t it? Well, this street has earned its name for a reason. The Avenue of Knights used to be home to knights in the 15th Century that occupied the old town. In charge of the knights was the Grand Master who lived in the Palace of The Grand Masters. Can you believe that this place used to have 158 rooms? Yes, it was huge. 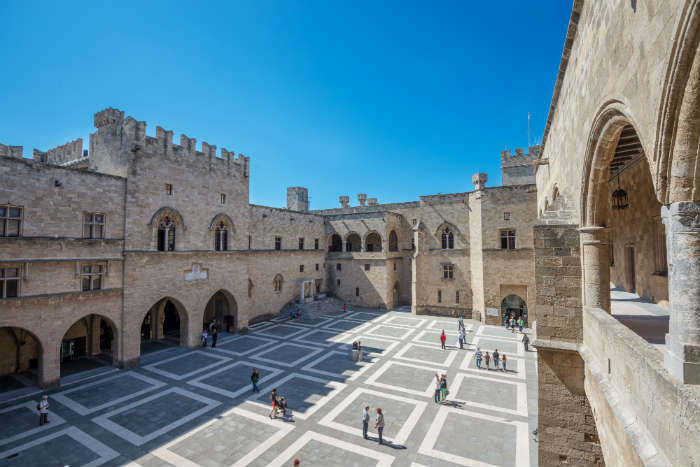 You can visit 24 of those rooms today and walk around the place that used to be central to the governing of Rhodes. In the 1800s, a lot of the palace was destroyed by explosives, but restored by the Italians when they occupied the island in the 20th Century and it looks like they did a pretty good job. On the north west coast of Rhodes lies Butterfly Valley, a lush, green place that’s home hundreds and thousands of Jersey Tiger moths. These creatures make the valley come alive during the spring and summer and there’s every chance of seeing them as you walk through this valley, past flowing waterfalls, and over bridges and streams. Just be careful not to disturb the butterflies as you observe them. If you’re looking for some quiet time in a cute little cove, Anthony Quinn Beach is the place to be. Although it’s not the sandiest beach on the island – it’s a combination of pebbles, sand and rocks – the surrounding scenery is unforgettable. 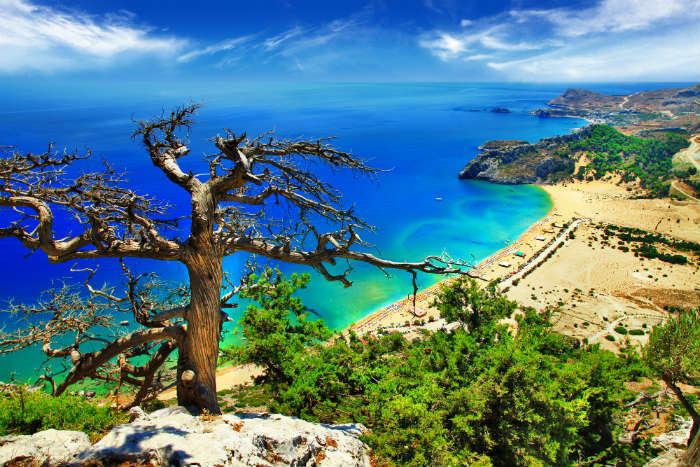 Pine trees surround the beach along with rocky hills that contrast against the calm, clear water. A chance to relax in thermal water? A rejuvenating experience? 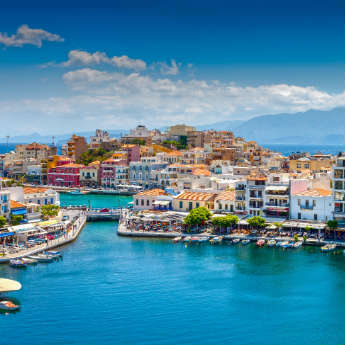 A chance to take part in something that people of Rhodes have been doing for years? 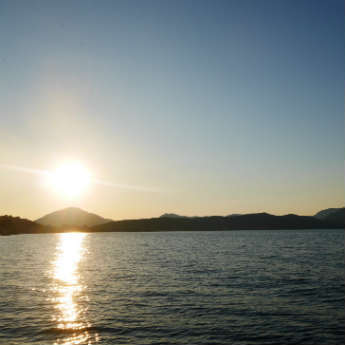 Yes, you can do all of these at Kalithea with its crystal clear waters. There are also modern facilities here where you can grab a bite to eat or a refreshing drink during the day! If you’re wanting a sandy beach, then Tsambiki is a great place to spend a few hours. Surrounded by sandy hills and green trees, Tsambiki is soft under the feet and has a cove full of shallow water that’s perfect for families. Plus, it’s usually pretty quiet here so you’ll have a lot of space to spread out away from the crowds. 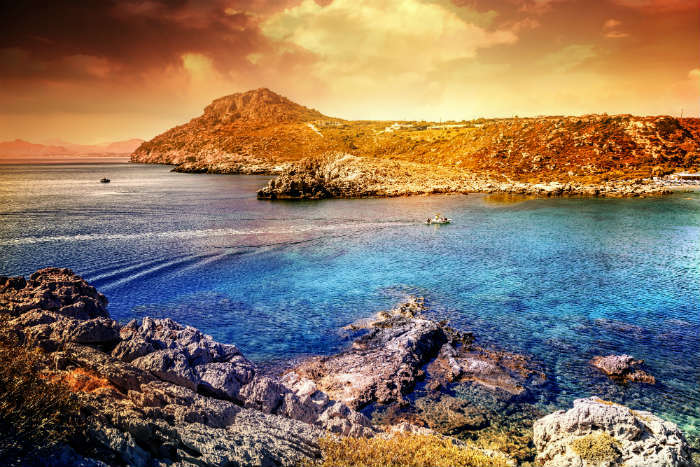 This picture is at Anthony Quinn Bay but, if you get up early enough, we bet you’ll see a cracking sunrise from anywhere on the east of Rhodes. Even if it’s the sunrise coming back from an evening out, it’ll be a pretty spectacular sight. 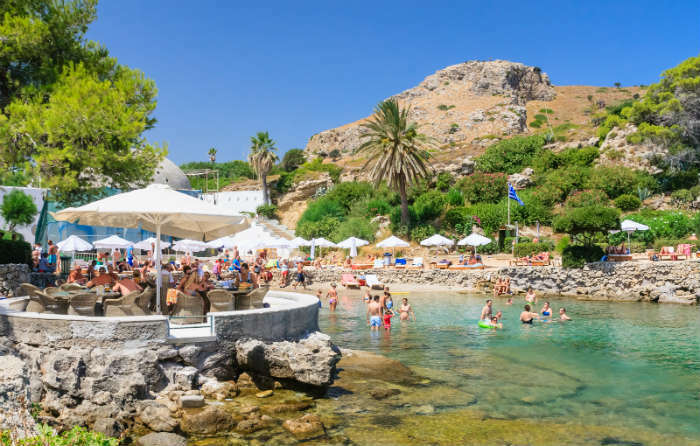 Have you ever been to Rhodes before? Let us know in the comments below which places you’d recommend!